Relationships are never easy, and this one has got a lot going against it. He’s her boss. She’s falling in love. And, the past may trump it all. 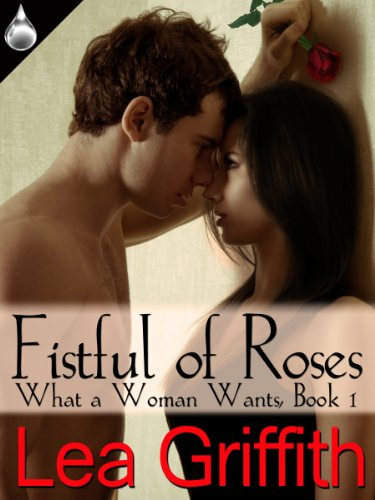 Lea Griffith pens a romantic tale in Book 1 of her new What a Woman Wants series. Sophie wants something she’s never had … his love. Ryan needs something he’s afraid to hold on to… her. Sophie Hanson has done the unthinkable—she’s fallen in love with her boss. She wasn’t prepared for the punch of his gaze or the feel of his arms around her. The fact that he’s her boss notwithstanding, she wants him with a force that is becoming harder to ignore. Ryan Locke wants the unthinkable—Sophie Hanson. That she’s his employee is quickly becoming irrelevant. Employer-employee relationships are a landmine but he’s willing to overlook the danger in the face of his overwhelming desire for her. Overcoming that employer-employee barrier isn’t the only issue. A depth of feeling neither have experienced before isn’t the only issue either. Sometimes the hidden things that come to light can ruin a love before it’s had a chance to begin.